The Kantanka is the revolutionary electric and solar powered car brand made in Ghana. Apostle Dr. Kwadwo Safo and his son Safo Junior have come up with the greatest modern invention in the 21st century. They have created an engineless car that is strictly electric and solar powered. Cars have become so fundamental to our everyday lives, how horse travel transformed physical mobility in everyday societies. The only concern with previous cars is their immense damage to the environment. Car pollution through the burning of fossil fuels has adverse effects on the earth’s atmosphere, including perpetuating the problem of global warming. Kantanka’s electric and solar powered cars achieve the goal of being a useful form of transportation without devastating the environment. The desire is similar to that of other nations that desire to wean their citizenry off of western consumption. Brazil makes and assembles Macropolo buses. India makes Mahindra vehicles. Now Kantanka brings a local brand to African car manufacturing. The father-son team is certain of the safety, reliability, durability, and overall appeals of the vehicles. Apostle Dr. Kwadwo Safo made and tested the cars for years before going commercial. Safo also drives his own vehicles, which cannot be said of all car manufacturers. The Kantanka company is devoted to keeping African families employed. At his massive complex at Gomoa Mpota in Ghana’s central region, more than 300 workers make more than one hundred cars per month. Young men between between the ages of 16 and 25 years assemble more than 1,500 parts for the car and spray the exterior. Employment will only increase as more cars are made and as Safo opens plants in other regions of Ghana, as well as in other African countries. Still other African industries can develop around making specialized parts, such as headlights, for Kantanka cars. The company is also keen on having cars that are specially catered to serve the African market. This means at low, affordable prices that undercut the prices of imported vehicles, which are overpriced to begin with and also have a hefty duty attached at the port. Moreover, Kantanka cars are acclimatized to the conditions of an African environment. The range of sport utility vehicles and pickup trucks are especially made for the warm temperatures and rugged terrain, so there is no question of whether the cars can navigate the local roads–they are built for them. The state and the Ghanaian public are eager to buy products made from Ghana. Police are already driving Kantanka cars. The carmakers expect more Kantanka’s to join the roads with the release of commercial vehicles. Safo and son, and other men, young and old, who work for the company prove that your brains can be well exercised without ever stepping foot in a colonial classroom. They have never been to school and still manage to build a dream car. Using ones brains, talent, and hard work can lead to ingenuity. For Kantanka, this creativity cannot be imported, but only kindled from the mores of African lifestyle and culture. Previous articleJournalese, Legalese and Shakespeare: How much of these shall we eat? Well, for those who think we need American Corporate Schools in Ghana for us to move forward: Shame on YOU! Kantanka has done it. I was one of the people in 1998 who laughed at the prototypes. I was young and foolish them. But now, I am no longer as childish. God Bless Kantanka and shame the naysayers! I doubt MasterCard wants to give Kantanka 13,000,000 for free – in scholarships! Where is all the Western Aid Money? Hahaha, I bet they do not want to give Kantanka any. We know! Kantanka is the best thing that has happened to Ghana since Nkrumah! 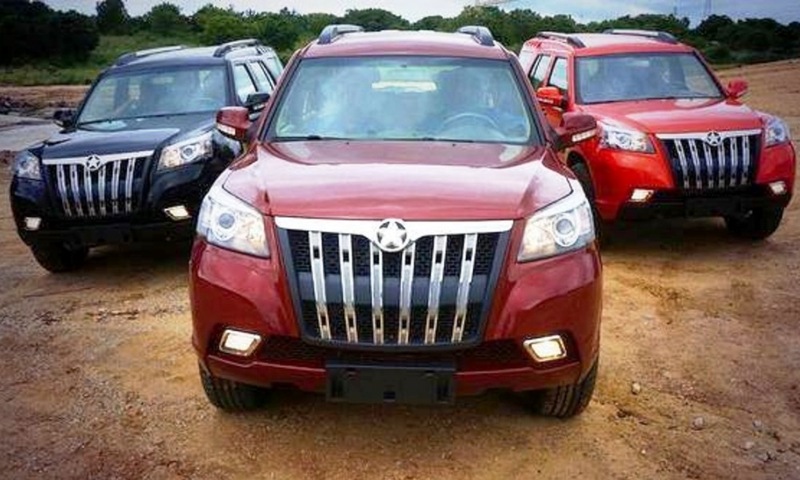 Kantanka Cars manufacturing plant outdoored in Ghana. They are now making about 150 cars a month. This is great news. When Japan started making cars, she was not an industrial giant then. Japan made its first car in 1917, years after cars were appearing in America and Europe. She was poorer than Ghana is today and less industrilaized. You have to start from somewhere and Kantanka has shown the way. One small step, a giant industrial leap for Ghana and Africa. Government support how. It will be better not to/ staying independent means it is not affected by the whims of political change. Fact! I see- but in the past hasn’t transcended political allegiance when there was a change. Guess what one is looking for is inter-political support. I just wish the politicians will patronize the products..ministries etc. These guys need serious support. If I were in Ghana I’d buy one. The 4×4 looks mean. Please you can buy and use it abroad. Just a thought/ others ship foreign cars. Why not still support irrespective of where you are! Pamela…I live and work in London UK. We drive on the left-hand side of the road…which means the steering wheel has to be on the right. The British people are very stubborn. Lol. Marc – please excuse me but so do I, and if I remember car specks such as side of driving are easily solved. Sorry but since we ship over there can be done the reverse. It is down to people not government to effect change. After all are government not just made up of people? Fair point. If I could get it serviced and parts at any of the usual places,why not? Now that has done what was needed. Why not indeed. Support from individuals far more powerful and long lasting. Its that mindset which means we fully move forward. I just use public transports and more likely to use an electric/green version when its ready. With this good thing kantanka is doing our lodge leaders can see, since their action is being manipulated by the evil union they’ve recruited themselves. They can see what is good, but they can’t freely support bcus they do what they are ask to do… we need to pray for them. As a fellow African, I congratulate Kwadwo Safo, Safo Jr. (and all employees at the Gomoa Mpota complex) for dreaming big……for thinking long and hard…..then building, testing, and eventually producing an all-electric vehicle they can proudly say is “made in Africa”. Many of the bigger challenges still lie ahead for it’s one thing to manufacture/assemble only in Ghana, and quite another to be sufficiently profitable (ie. financially sustainable). For this to happen, the cars will need to be sold beyond Ghana’s borders. May their determination and continued efforts serve them well. Thank you for giving young Africans an example to emulate.